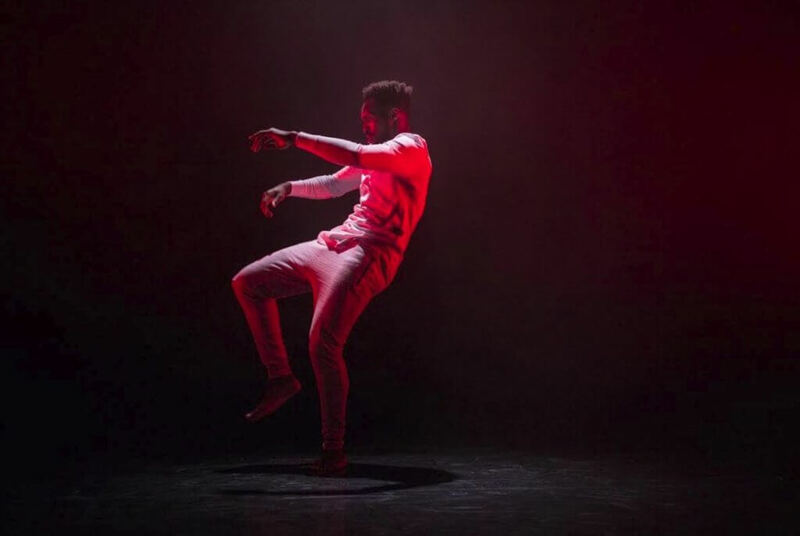 Break­in’ Con­ven­tion, the award-win­ning and crit­ic­ally acclaimed power­house behind a hip hop theatre revolu­tion, cel­eb­rates a land­mark 15th Anniversary this May Bank Hol­i­day dur­ing its annu­al hip hop dance fest­ival at Sadler’s Wells. To hon­our this aus­pi­cious anniversary Break­in’ Con­ven­tion’s Artist­ic Dir­ect­or, UK hip hop theatre pion­eer and Sadler’s Wells Asso­ci­ate Artist, Jonzi D, has cre­ated an exten­ded pro­gram­me look­ing back over the festival’s achieve­ments, as well as look­ing for­ward to the future and pos­sib­il­it­ies of hip hop dance and cul­ture. The fest­ival takes over the whole of Sadler’s Wells and the Lili­an Bayl­is Stu­dio, from Sat­urday 5 — Monday 7 May. Renowned for show­cas­ing high cal­ib­re and diverse rep­res­ent­a­tions of hip hop dance theatre from across the globe, Break­in’ Con­ven­tion 2018 takes this even fur­ther via an innov­at­ive col­lab­or­a­tion with Jazz re:freshed, the pres­ti­gi­ous live jazz organ­isa­tion, which also cel­eb­rates its 15th anniversary. Sup­por­ted by Red 1 Arts and Sadler’s Wells’ 20 land­mark com­mis­sions to mark the 20th anniversary of the theatre, the spe­cially com­mis­sioned Jazz re:freshed Son­ic Orches­tra brings togeth­er for the first time 15 estab­lish and up and com­ing musi­cians across jazz, hip-hop and bey­ond, provid­ing ori­gin­al sound­scapes to accom­pany five newly com­mis­sioned works from dan­cers to mark both fest­ivals’ illus­tri­ous his­tor­ies. The line-up includes Olivi­er Award-win­ning Boy Blue Enter­tain­ment; lock­ers, The Lock­smiths from Lon­don; Neth­er­lands-based b-boy crew The Ruggeds; French hip hop free­style dan­cer Mufasa; and Jonzi D him­self, premier­ing new work to a score com­posed by Jazz re:freshed Son­ic Orchestra’s Music­al Dir­ect­or Jason Yarde. This part­ner­ship devel­ops on from the suc­cess of the 2017 fest­ival, which saw Break­in’ Con­ven­tion and Jazz re:freshed present an even­ing of live jazz, dance theatre and poetry in the Lili­an Bayl­is Stu­dio, to launch the weekend’s events. In addi­tion this year’s fest­ival fea­tures its usu­al eclectic mix of per­form­ances across the hip hop gen­re, many explor­ing pro­voc­at­ive top­ics. High­lights include hip hop artist Chad Taylor whose trio explores the theme of male men­tal health; Kloe Dean & Jared Har­ring­ton whose work looks at an abus­ive rela­tion­ship between a man and a woman; Jade Hack­ett, who shows an excerpt from her work, The Duke Joint, which looks at the theme of slavery from an altern­at­ive per­spect­ive, invest­ig­at­ing the strength and resi­li­ence of black cul­ture; All female dance group led by Elsa­bet Yonas has cre­ated a work about their shared exper­i­ence of grow­ing up in fam­il­ies with absent father fig­ures; Muslim broth­ers Shiraz and Faraz, also known as KR Flow, look at how appear­ances are decept­ive. Born and raised in Birm­ing­ham, they have been b-boy­ing for many years along­side estab­lished careers; Finally, Ukweli and Tali per­form an extract from the forth­com­ing full length ver­sion of Ukweli Roach’s Vicycle which addresses men­tal health through a series of scenes depict­ing dif­fer­ent vices — alco­hol, nicot­ine and sexu­al obses­sion – which are slowly des­troy­ing a young man. 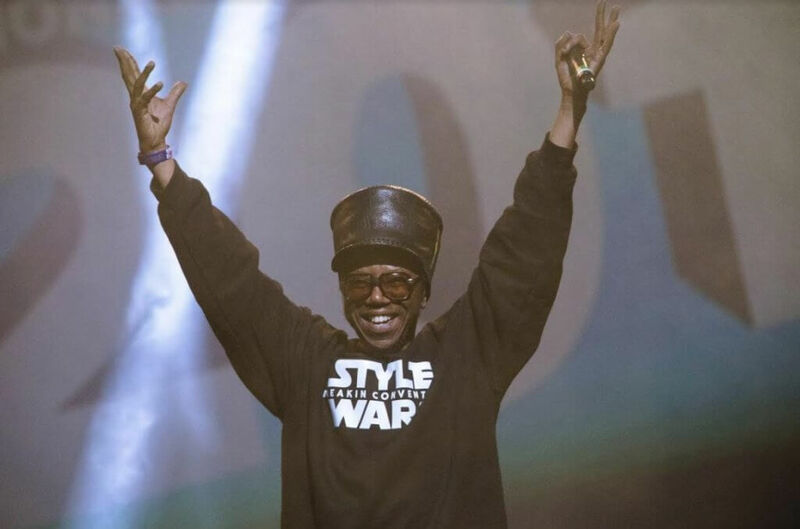 Dur­ing the fest­ival, Sadler’s Wells’ foy­ers will once again be trans­formed so that audi­ences can enjoy dance work­shops, live graf­fiti, award-win­ning hip hop DJs, MCs and impromp­tu dance circles spill­ing out all over the build­ing, cre­at­ing an unfor­get­table and inclus­ive exper­i­ence for all ages. Boy Blue Enter­tain­ment – Boy Blue Enter­tain­ment is an Olivi­er Award-win­ing hip hop dance com­pany and Bar­bican Centre Asso­ci­ate Artist. Foun­ded by cho­reo­grapher Ken­rick ‘H20’ Sandy and com­poser Michael ‘Mikey J’ Asante, they work togeth­er on the devel­op­ment of all of Boy Blue Entertainment’s pro­duc­tions and pro­jects. Boy Blue Enter­tain­ment cho­reo­graphed and cre­ated music for Lon­don 2012 Olympic open­ing cere­mony. Jazz re:freshed – A mul­ti­fa­ceted music arts organ­isa­tion striv­ing to raise the pro­file and demon­strate the breadth of expres­sion with­in UK jazz and jazz-influ­enced music, chal­len­ging the pre­con­cep­tions that have kept jazz on the side lines. Jazz re:freshed has cre­ated a space for musi­cians to exper­i­ment and push bound­ar­ies through live per­form­ance, it sup­ports emer­ging and estab­lished artists, and via mul­tiple plat­forms com­mu­nic­ates vari­ous aspects of the cul­ture asso­ci­ated to the music. The Lock­smiths – Pro­duced by artist­ic dir­ect­or Mr. Ben, The Lock­smiths is a fresh Lon­don-based com­pany pas­sion­ate about explor­ing the artist­ic expres­sion of lock­ing and its poten­tial. Mufasa (France) – Solo hip hop cham­pi­on at the 2012 UK B-Boy Cham­pi­on­ships, Mufasa’s strong found­a­tion, music­al­ity, innate skill and unique style makes her a power­ful dan­cer who nev­er fails to blow audi­ences away. The Ruggeds (Neth­er­lands) – This renowned eight strong crew are one of the most act­ive b-boy crews in Europe, tak­ing part in battles all over the world, includ­ing the UK B-Boy Cham­pi­on­ships world final, which they won in 2014. Each mem­ber is well known for their dif­fer­ent styles and influ­ences. BirdGang – A wel­come return to the Break­in’ Con­ven­tion stage by this unique hip hop dance com­pany. Since their première per­form­ance in 2006, BirdGang have gone from strength to strength, devel­op­ing an idio­syn­crat­ic move­ment style that has influ­enced street dance world­wide. Bonet­ics – Twis­ted, muscle sculp­ture full body con­tor­tion­ist Shakirudeen Ade­wale Alade makes his première at Break­in’ Con­ven­tion this year but is a well-estab­lished artist hav­ing wowed the Britain’s Got Tal­ent judges and audi­ences back in 2015. Elsa­bet Yonas – Five women nego­ti­ate their shared exper­i­ence grow­ing up in fam­il­ies with absent father fig­ures and the way this shapes their pur­pose and inten­tion. Fuse 596 – An inter­na­tion­al funky house dance group based in Lon­don. Japan­ese, French and UK dan­cers exude pos­it­ive vibes and cool con­fid­ence in this col­lab­or­at­ive piece. 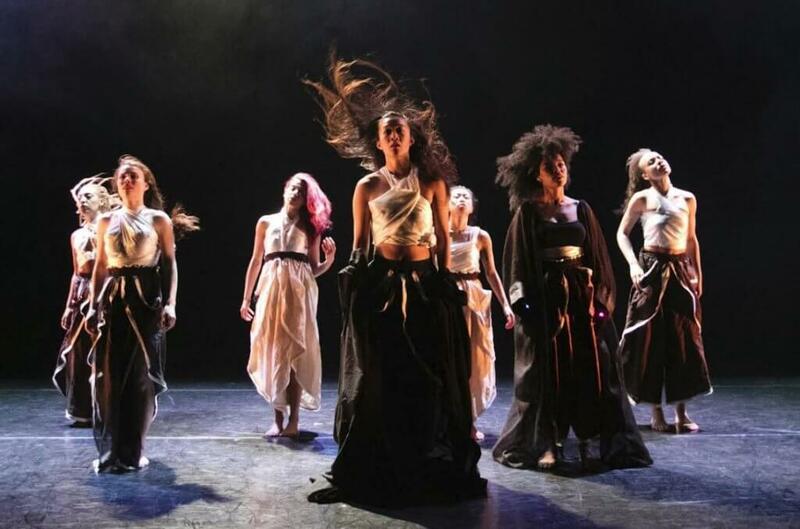 House of Abso­lute – An all-female dance group who spe­cial­ise in waack­ing, jazz dance and spoken word, for Break­in’ Con­ven­tion they present Ded­ic­a­tion to Dizzy. Inspired by the icon­ic trum­peter and com­poser Dizzy Gillespie, who was an advoc­ate for art as act­iv­ism. This piece is ded­ic­ated to the eld­ers of the under­ground UK jazz dance scene. Myself UK Dance Com­pany – Kloe Dean has been mak­ing work with the all-female col­lect­ive Myself for 10 years and will be cel­eb­rat­ing its anniversary at Break­in’ Con­ven­tion ’18. Lyr­ic­al street dance and spoken word meets social com­ment­ary as the com­pany con­tin­ues to exam­ine the female iden­tity. The com­pany was last seen at Break­in’ Con­ven­tion in 2016. Room 2 Manœuvre – A Hitch­cocki­an twist to cre­ate a world that is slightly off kil­ter, expect plenty of darkly comedic and power­ful break­dan­cing. U.M.A – Cause and effect is explored in this duet using pop­ping tech­niques and an awe­some con­nec­tion between Rikoshay and Luke Lentes. Amala Dian­or (France) – This is the birth of “Abstract”, a dan­cing style that dares to be hybrid yet remains rooted in the rules and con­ven­tions of hip hop. Through their com­pli­city and unre­lent­ing play­ful­ness, Amala Dian­or pave the way to an abstract jour­ney where codes and col­ours mix. Extreme Push­ers (Jamaica) – Dir­ect from the coastal para­dise of Ocho Rios, Jamaica, Extreme Push­ers spe­cial­ise in dance­hall as wells as cre­at­ing their new dance moves includ­ing ‘Addicted’, ‘Call-her-again’, ‘Extreme’, ‘Jook out yuh eye’ and many more. Break­in’ Con­ven­tion presents Extreme Push­ers’ UK première. Fem­me Fatale (USA) – Mar­ie Pop­pins, Lily, Sumi and Dassy make up Fem­me Fatale. Known for their strong abil­it­ies in pop­ping, anim­a­tion and a high level of music­al­ity with a fem­in­ine touch, their mix of cul­tures, back­grounds and indi­vidu­al styles is what makes Fem­me Fatale an ori­gin­al, power­ful female col­lect­ive. Salah (France) – A liv­ing legend in the world of hip hop dance, this award-win­ning, con­sum­mate per­former is a mas­ter pop­per, lock­er, b-boy, clown and all round enter­tain­er. Salah returns to the Break­in’ Con­ven­tion stage after a sev­en year hiatus that has seen him work with Cirque Du Soleil, Puma and Dav­id Blaine among oth­ers. Zeljko Boz­ic (Slov­e­nia) – Award-win­ning dan­cer and cho­reo­grapher Željko Božić is an inter­net sen­sa­tion fol­low­ing his work, Let­ter. For Break­in’ Con­ven­tion, he per­forms an extract from his latest work, Dream Job, based on motifs from the book Can I Tell You a Story? by Jorge Bucay. The duet shows dan­cers manip­u­lat­ing boxes, por­tray­ing their dreams and lost hopes, enthu­si­asm and fears, expect­a­tions and their goals. Chad Taylor – Manchester based, Taylor star­ted dan­cing from the age of 11, train­ing in hip hop. After gradu­at­ing from the Ham­mond School he went on to work with artist such as Cheryl Cole, Palo­ma Faith, Sade, Take That and Little Mix and per­formed on The X-Factor and at the Brit Awards. For his new work he deals with men­tal health and includes images of sub­stance abuse and para­noia. Chey Jurado (Spain) – Chey per­forms Agua, a sens­it­ive piece filled with ges­tur­al droplets that develop into a water­fall of b-boy fluid­ity. This tal­en­ted mover won the solo sec­tion of Fest­ival HOP in Bar­celona 2016. A Break­in’ Con­ven­tion première. Jade Hack­ett – Jade per­forms an excerpt from The Duke Joint. The piece tells the story of an enslaved Afric­an who struggles with his role as ser­vant in racist Amer­ica, using text with impas­sioned break­ing and stark ges­tures. JDP (Jonzi D Pro­duc­tions) – This new dra­mat­ic hip hop theatre piece is dir­ec­ted by Jonzi D and Jade Hack­ett, per­formed by Corey Some­fun and Mo’Sean. Cre­ated at Break­in’ Con­ven­tion’s Open Art Sur­gery in March 2018, this is a Break­in’ Con­ven­tion Première. This is JDP’s latest col­lab­or­at­ive work since 2014. Kloe Dean & Jared Har­ring­ton – Sens­it­ive cho­reo­graphy which tells the story of an abus­ive rela­tion­ship between a man and a woman in an intense but subtle duet. KR Flow – B-boys and broth­ers Shiraz and Faraz per­form a humor­ous duet that chal­lenges our pre­con­cep­tions about appear­ance. 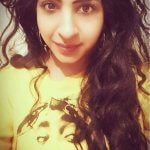 Both Shiraz and Faraz dance in their spare time whil­st work­ing full-time in dentistry and teach­ing, respect­ively. Ukweli and Tali – An extract from the forth­com­ing full length ver­sion of Ukweli Roach’s Vicycle, a fea­ture length pro­duc­tion which fol­lows a man’s des­cent into a num­ber of vices — alco­hol, nicot­ine and sexu­al obses­sion – and the affect it has on his men­tal health. The full piece debuts at Sadler’s Wells in Septem­ber and demon­strates a fresh way of explor­ing hip hop dance theatre. It is pro­duced by Break­in’ Con­ven­tion. Once again this year’s fest­ival is hos­ted and cur­ated by Jonzi D and co-hos­ted with BSL inter­pret­er, Jac­qui Beck­ford. Break­in’ Con­ven­tion goes bey­ond present­ing work on the stage and con­tin­ues in its ambi­tion to sup­port and inspire the next gen­er­a­tion of hip hop artists with learn­ing and engage­ment pro­jects and pro­fes­sion­al devel­op­ment plat­forms both in the UK and inter­na­tion­ally. 2018 sees many pro­jects, includ­ing Back to the Lab, a two week intens­ive train­ing and ment­or­ship pro­gram­me which con­cludes with a per­form­ance and audi­ence feed­back. Open Art Sur­gery, an even­ing that offers hip hop theatre per­formers and com­pan­ies the oppor­tun­ity to develop and exper­i­ment with new ideas and receive ment­or­ship from Jonzi D and oth­er hip hop theatre afi­cion­ados in front of an audi­ence. Future Ele­ments, a week long pro­ject for 13–16 year olds to cre­ate a music video, which is presen­ted at the fest­ival. Janu­ary 2018 also saw the start of Start­ing From Scratch, a four month hip hop youth theatre pro­ject work­ing with 13–21 year olds that cul­min­ates in a per­form­ance in the Lili­an Bayl­is Stu­dio dur­ing the fest­ival. The fest­ival has firmly estab­lished itself as one of the major high­lights on the Brit­ish dance cal­en­dar and one of the world’s greatest cel­eb­ra­tions of hip hop cul­ture, and con­tin­ues to tour inter­na­tion­ally. This year the fest­ival is return­ing to Toronto’s Sony Centre on Fri­day 1 & Sat­urday 2 June, its second vis­it to the city, premier­ing in 2017. Break­in’ Con­ven­tion is a Sadler’s Wells Pro­ject. The Break­in Con­ven­tion and Jazz re:freshed col­lab­or­a­tion is a Sadler’s Wells com­mis­sion, part of 20 land­mark com­mis­sions to mark the 20th anniversary of the theatre.